TIME: Captains meeting starts 6:30 am. You must arrive earlier to sign in. Located at the Home Depot parking lot in Cambridge. RULES: ​Bottom of this page. Official Tournament station is where to meet after and enter your pictures. Located in Paris Ontario, Syl Apps Community Centre, 51 William St, Paris, ON N3L 1L2. No later then 4 pm. Map Link. We will list the prizes at a later date. We will have prizes for the top six longest Bass entered. We will be handing out many other randomly drawn door prizes. 1. Must be signed in and at Captain’s meeting by 6:30 am at the Home Depot in Cambridge. 2. All participants agree to abide by the Ontario Fishery Regulations, 2007, regulations under the Fish and Wildlife Conservation Act, 1997, any Transport Canada rules governing the use of vessels and all Tournament rules. 3. 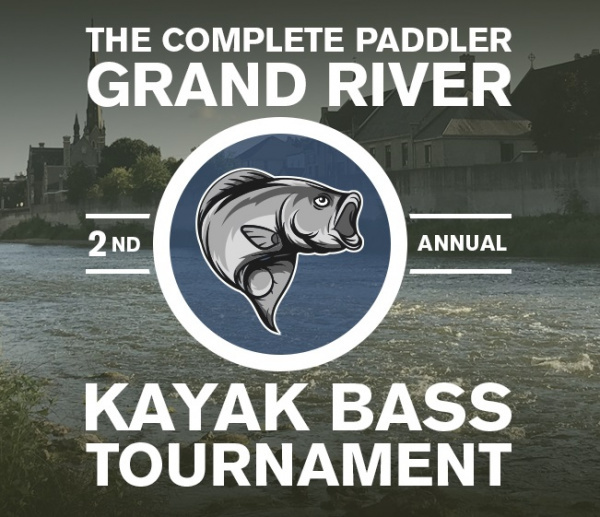 All fish must be caught in The Grand River of the Boundaries set for the Tournament. Between Conestogo and Wilkes Dam in Brantford, not including its tributaries. Anyone observed fishing elsewhere during the Tournament will be disqualified. 5. 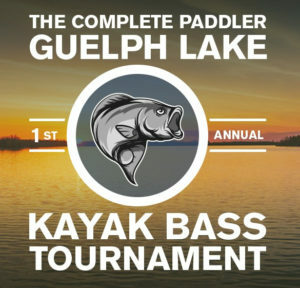 Photo of fish MUST be entered in person at the official Tournament station hours 2pm and 4pm at Paris Ontario, Syl Apps Community Centre, 51 William St, Paris, ON N3L 1L2. 8. All decisions by the judges will be final. Any questioning will result in the immediate disqualification of any contestant for the entire Tournament. 10. Fish may be entered only once. Participants may only win one prize (except draw prizes). All fish must be caught from the vessel and by the angler entering the fish. 11. 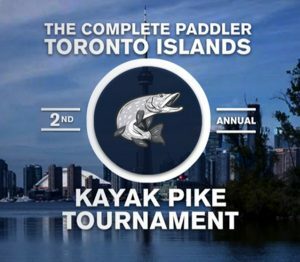 The Complete Paddler, sponsors, organizers, or their agents will not be liable for the loss of property, or for the injury to any contestant or spectator. Contestants compete in the Tournament at their own risk. 12. All participants agree that upon winning a major prize they will submit to truth tests, if required, and sign an affidavit attesting to the fact that their prize winning fish were caught within the rules of the Tournament. 13. Canoes, Kayaks and Stand Up Paddle Boards are all allowed to be used with any type of fishing rod. One person to a vessel and must be powered by paddle or pedal drive, No motor of any kind allowed, Exceptions can be made for medical reasons but judges will have the final call. 14. Any sign of live or dead bait being used will be automatic disqualification.